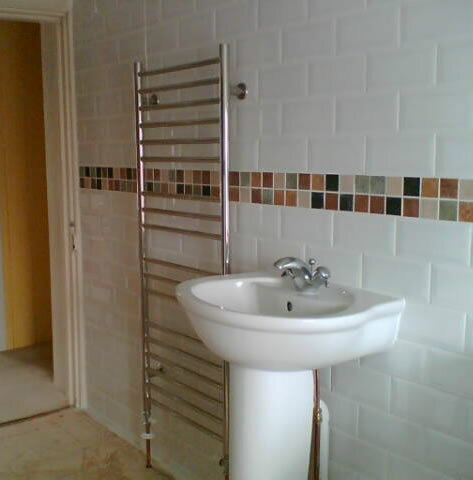 This was a bathroom refurb in Andover which snowballed once we started, as all the plaster fell off the walls. 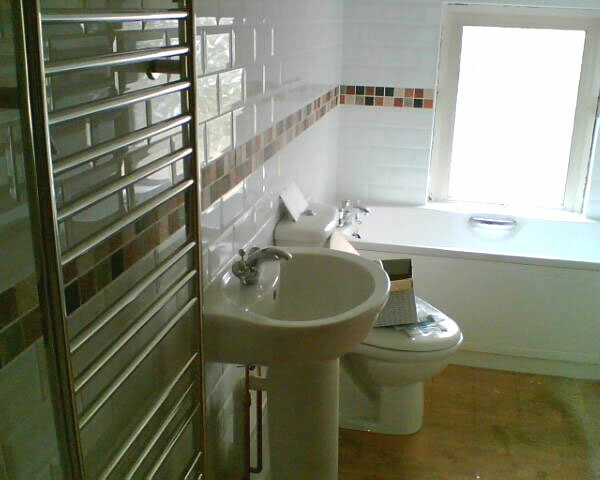 Originally we were contracted to change the suite and the tiles. 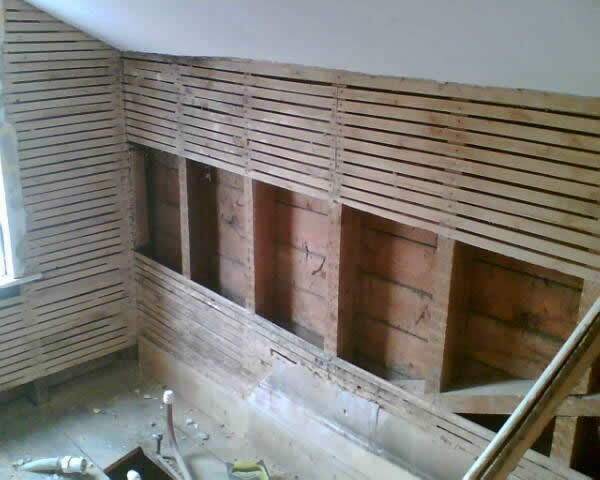 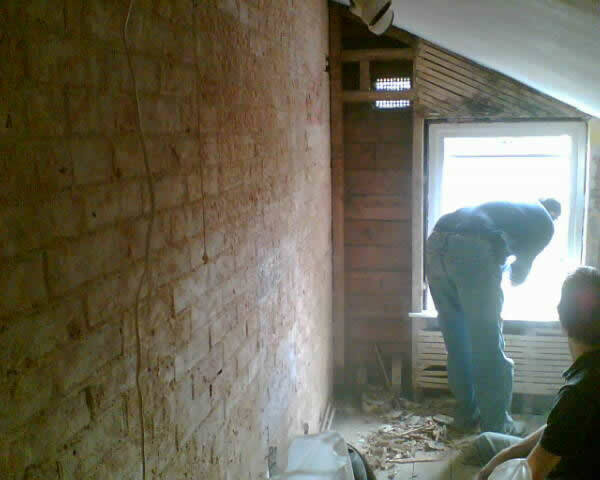 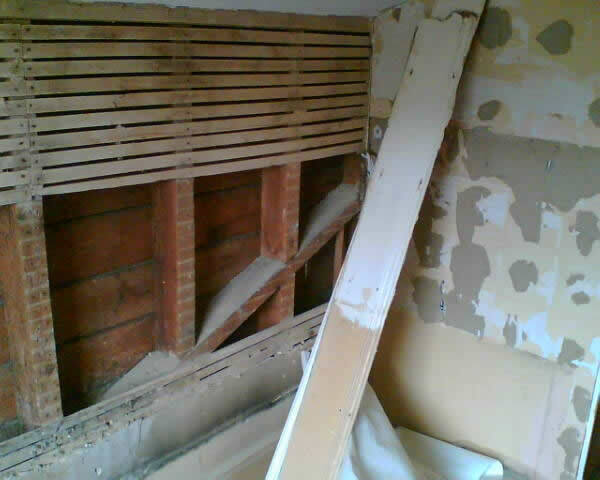 We then found the walls to be the old lath and plaster type and there was no insulation behind them. 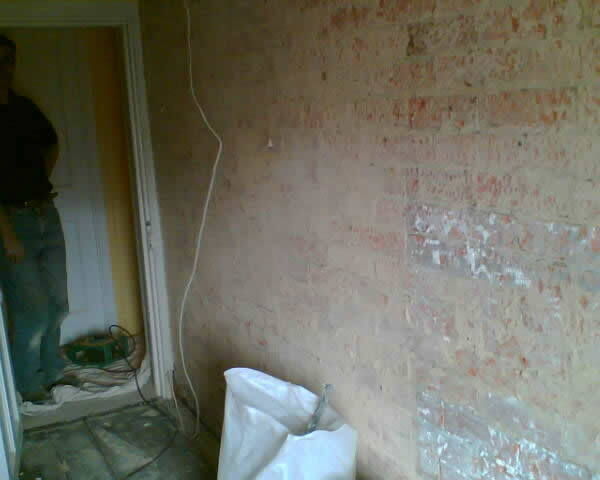 We stripped them back, insulated behind the walls, fitted new plasterboard, plastered the room and tiled as necessary.